See those white rocks at bottom right? 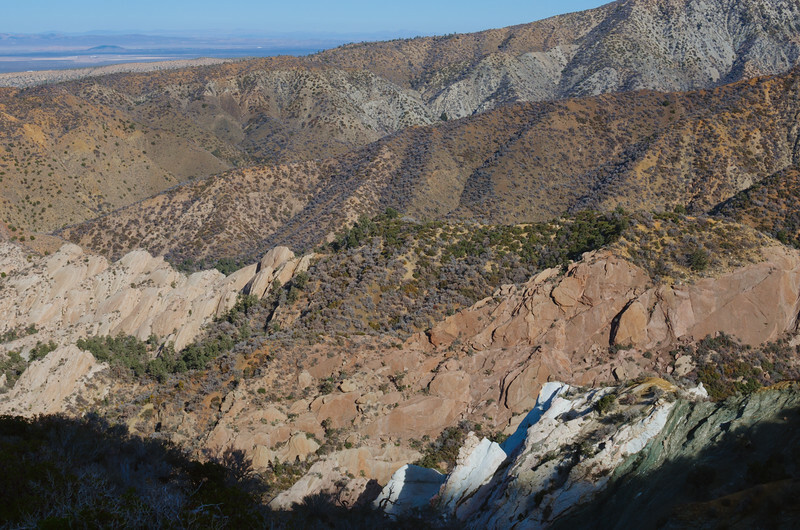 That's the "Devil's Chair" in the Devils Punchbowl Natural Area in the high desert north of Los Angeles. If you click above and then look closely you'll see fencing on the top of the upper slab of white rock -- it's a 3.8-mile hike from the parking lot to an overlook atop the chair. I like the photo for the shapes -- five ridgelines, each a little different than the others with a hint of the Mojave Desert floor at the very top. The photo was taken with my Nikon D5100 and the Nikon DX 35mm 1.8 lens, which is super sharp. 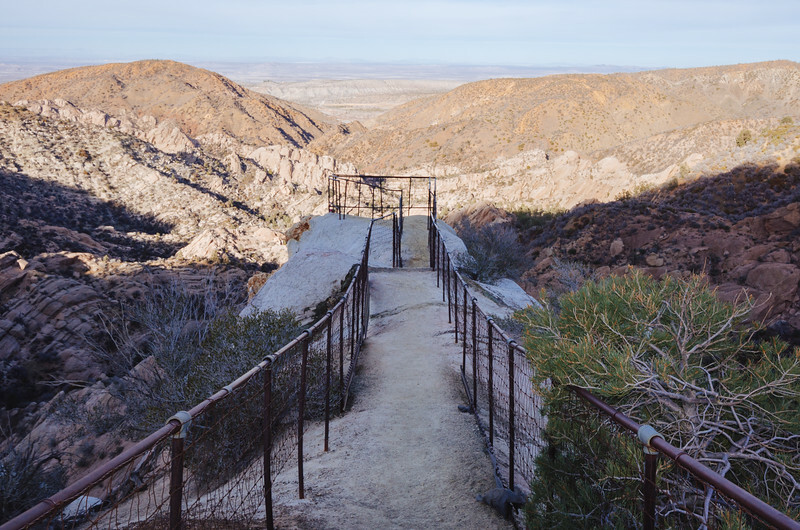 This is a so-so view of the actual overlook, made challenging because by the time we got to the chair it was in the shadows and the Devils Punchbowl was in the light. This place is on the north side of the San Gabriel Mountains and is just south of the San Andreas Fault, where the Pacific Plate and the Tectonic Plate meet. Uplift caused by the fault formed the San Gabriel range, which have some of the steepest slopes in lower 48. RELATED POST: Owls at Devils Punchbowl.